Before the Nursing and Midwifery Council (NMC) introduced revalidation in 2016, the proposed model for revalidation was piloted in 19 healthcare organisations in the UK. Aneurin Bevan University Health Board (ABUHB) was among the pilot sites, and invited more than 1,000 registered nurses and midwives to take part. One of these participants, a member of the ABUHB practice facilitator team, used this experience to identify links between mentorship activities and the NMC requirements for revalidation. 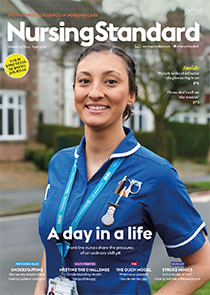 This article discusses how becoming a mentor and maintaining mentor status can provide registered nurses and midwives with evidence to assist them in their revalidation.